Both have signed an agreement for the contract assembly, scheduled to begin in mid-2012. According the GM news release, about 30,000 Aveo sedans and hatchbacks are expected to be assembled annually. The vehicles will be sold on the Russian market. For the record, GM has a wholly owned manufacturing facility in St. Petersburg, Russia; a joint venture, GM-AvtoVAZ, in Togliatti; and a contract assembly operation run by Avtotor in Kaliningrad. Last year, GM sold almost 160,000 vehicles in Russia. Chevrolet was the most popular non-domestic brand offered on the Russian market in 2010. 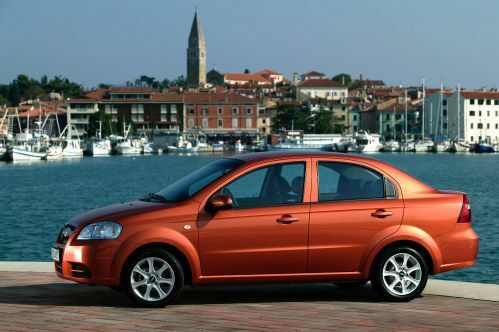 After the new Aveo hatchback made its debut at the 2010 Paris Motor Show, it was followed by the new Aveo sedan, which was introduced at last month’s 2011 North American International Auto Show in Detroit. Both models are being rolled out by GM in markets around the world. Next-generation Chevrolet Aveo is considered an important global product that is a segment leader in design, handling, quality and space. For those paying special attention, there was no mention of an Aveo using compressed natural gas (CNG), a likely future fuel of choice in Russia. When I asked a GM director at the 2011 NAIAS regarding CNG for the Chevy Sonic in America, he said that was up to the powertrain group.